Where do you store your DVDs? Do you keep them in a box, on a shelf or one of those wallets that store 50-100 discs? I have my (too many) unwatched films on my desk so that I would remember to watch them some day. They are ordered primarily by language, but Shankar, Chiranjeevi, and Upendra have their own categories because there are so many of them. (There is a picture of them that I took last week.) 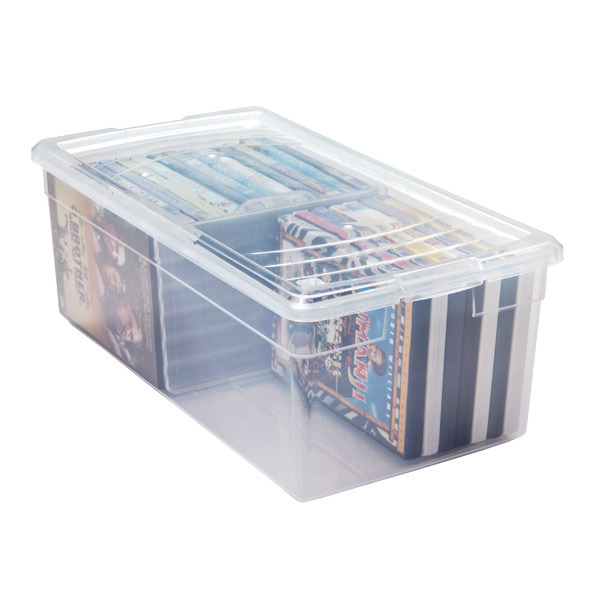 I try to keep the unwatched films to fit inside those boxes but it's not always possible. I really should get myself to watch these but instead I often find myself watching other movies from YouTube. After watching a film, I move it to the watched films section of my bookshelf. I don't know what I'll do when that section will run out of space sometime soon. Currently the watched films are ordered alphabetically but I think that's probably not the best way to order them. 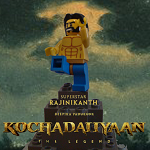 And then I have little boxes full of Rajinikanth movies all over my apartment as I recently started a marathon project to watch all his films. Those are ordered by the release date instead of the status of being watched. I would like to somehow be more systematic instead of having multiple distinct ordering systems at the same time but I'm not sure what I should do! Do others use alphabetical order or order by year/language/director/actor? Or just a random order? Mine are on my bookshelf, with Raj Kapoor movies first in order of release then the rest in the order of release. I love this question and seeing/reading how everyone stores theirs. Current living situation means I don't have place to showcase my movies at the moment. 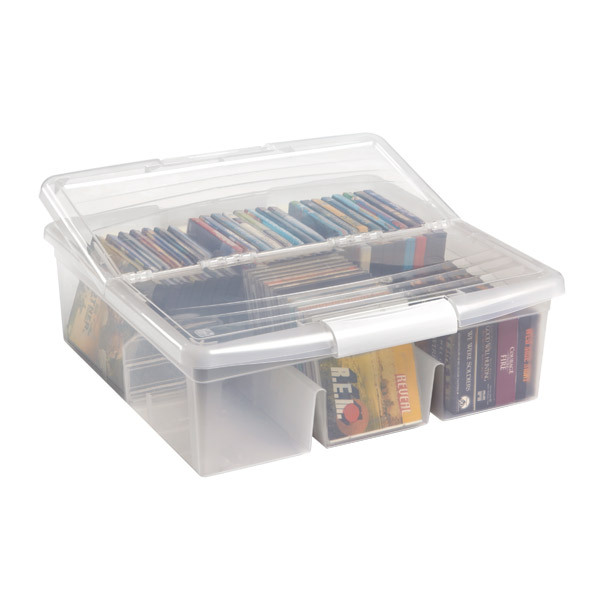 They are all stored in plastic media storage bins from The Container Store, and reside under my bed. I highly recommend them.They are in alpha order, but only by first letter. Within each letter they are in no order. I always have a stack of unwatched within easy access and there is always another stack of ones that need to be returned to the bins. I keep the Hindi movies separate from the South Indian movies, of which I only have about 30. I also have a third stack in the closet of the defective dvds. I like the idea of having them organized by release date too, but that would be a big project as my collection has surpassed 300. I've got 3 of these which hold between 20 - 30. And 4 of these which are suppose to hold 54 dvds. I can get more in because of the skinny cardboard cases old ones come in. Ours are on several bookshelves, plus a several overflow stacks, in alphabetical order by title, regardless of language. So here is the M-S section with all sorts of stuff: good/bad; film/TV; watched/unwatched; English/Hindi/Tamil/Malayalam/Bengali. That's the principle. In practice new DVDs live in the overflow stack until MrsB gets the urge to alphabetise them, and shift all the others along their shelves. I love Seven Brides for Seven Brothers, The Mummy and The Mummy Returns. Opinion is sharply divided on Seven Brides For Seven Brothers here: I love but, but MrsB refuses to be in the same room when it's on, so I don't get to see it very often. 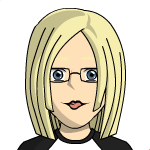 Fun thread! As a librarian by profession, I'm often compelled to rearrange and organize my books and media. 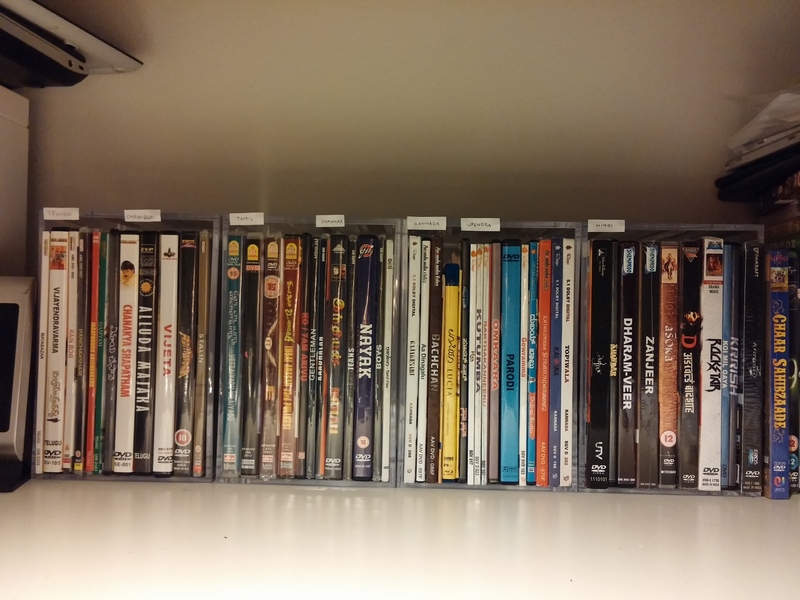 I keep my Hindi (and other Indian) DVDs (about 100) separate from the rest of my DVD collection and display them prominently in the shelves beside my tv unit which are more decorative than utilitarian. The rest of my collection is organized by genre and alphabetized within the genre (i.e. rom com, costume drama, sports film, action/thriller, general foreign language, comedy, drama, Christmas/holiday, opera/music, tv box sets). For my Bollywood collection I've gone back and forth, sometimes just alphabetical, sometimes by genre (which is trickier). For my Bollywood genres, I've done: rom com, romantic epic, masala action, dramedy, drama, historical epic, sports, thriller. My collection is heavy on the rom coms, so it's an uneven breakdown. This weekend I wanted to try something new and organized by lead actor/actress, so that all my Hrithik movies would be in one place on the shelf, etc. I found that this was a (no surprise!) sexist arrangement. If the story was a romance I would put it under the male lead (there were exceptions like Aaiya was a Rani, Khoobsurat was Sonam, etc.) Ajay Devgn, SRK, Saif Alik Han, Hrithik, Ranveer Singh, Imran Khan all had multiple titles, while few of the female stars had their own sections (i.e. Kangana with Queen and Tanu Weds Manu, Sridevi with English Vinglish). It's a fascinating exercise in how male-centric Bollywood is. It's a fascinating exercise in how male-centric Bollywood is. Off topic, but have you watched Satte pe Satta? Starts off as a kind of unofficial remake, and then veers off into full-on masala wackadoodle. Totally fun movie. On topic, here's a cabinet I bought for my movies. This picture was taken when I got it, two years ago. It's a lot more full now. Actually it's overflowing. Stacks are crystallizing on top of it. Organizational scheme is alphabetic (by romanized spellings, that is), divided into two groups: Seen first, then unseen. That's for ease of browsing, so when I want to watch something I haven't seen before the ones I've already seen don't crowd them out. Today, the dividing line is at the beginning of the bottom middle shelf. Everything on that shelf and in the right-hand panel are the movies I haven't watched yet. EDIT: Now that I look at that picture, I see that at the time I took that picture it was just alphabetic in one big clump, without separating seen and unseen. I must have changed that shortly thereafter. I have! I remember liking it quite a bit, but it's been ages since I've seen it. I'll have to pull it out, time for a re-watch. 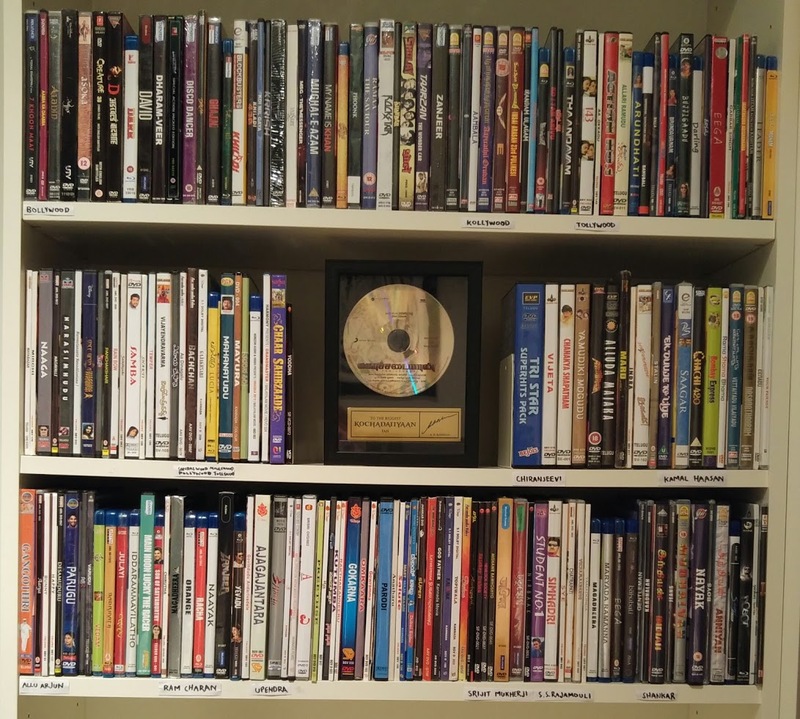 I combined my watched and unwatched movies into the same shelf and started to keep track of their status of watchedness with a computer program called Eric's Movie Database (which I think is better and simpler than other similar programs that I tried out). I shouldn't buy more movies until I've watched my old DVDs, but it's often too difficult to leave interesting movies unbought.